The Pitbull Lab mix is an increasingly popular crossbred dog. Let’s find out all about them! Want a dog that’s smart, loyal, full of energy and eager to please? Then a Pitbull and Lab mix might well be on your short-list. Read on to find out what this popular mixed breed can bring to a family, and how you can help yours live a long, happy and healthy life. From tips on care and training, to information on its origins, temperament and needs, this guide contains everything you need to know about the Lab Pit mix. Our readers’ most popular and frequently asked questions about the Pitbull Lab mix. Are Pitbull Lab mixes aggressive? Are Pitbull Lab mixes good family dogs? How can you train a Pitbull Lab mix? What is the life expectancy of a Pitbull Lab mix? Popularity: Labs are the most popular breed in America according to the AKC. Pitbulls are in the top three according to the Animal Foundation. Pitbull Lab mixes, also known as Labrabulls or Pitadors, are the offspring of two hugely popular breeds. The amiable Labrador Retriever and the American Pitbull Terrier. The Labrabull is a firm favorite of many dog lovers who say they are playful, active and affectionate companions. Growing controversy over American Pitbulls in recent years has led to a lot of misinformation about the breed. Pitbulls are banned in several countries because of their reputation as a fighting dog. A big concern is that when Pitbulls bite, they don’t let go. And it’s a reasonable worry. However, if properly bred, socialized and trained, these are wonderful dogs with a warm, loving and affectionate temperament. We’ll look at how you can increase your chances of having a confident, friendly Pitbull cross later on. For now, let’s check out some history. The American Pitbull can trace its ancestry back to Britain where breeders combined Old English Terriers with Old English Bulldogs. These breeds were used in bloodsports until the practice was banned. Sadly, the stigma attached to being used as fighting dogs has stuck with Pitbull-type breeds through the years. Labrador Retrievers were originally bred as hunting dogs. Consistently ranked as America’s most popular dog breed, they are popular family pets. They are also commonly used as therapy dogs, in search and rescue missions and as guide dogs for the blind. When you make a Pitbull and Lab mix, any of the qualities of the parent breeds can be passed on, in any combination. Throughout this article, we’ll look at what we can expect. This mix has a plethora of portmanteau names! From Bullador to Labrabull, Pitador to Lab-Pit or Pit-Lab, everyone has their personal preference. Both Pitbulls and Labs are popular among star-studded sectors, with actresses like Jennifer Aniston loving their Pitbulls, and Drew Barrymore and Minnie Driver showering affection on their Labradors. When buying a cross-breed there are no guarantees. Puppies can resemble either parent, or a combination of both. There can even be big differences within the same litter. However, Labrador and Pitbull breeds do have some similarities that are likely to appear in your Pitador puppy. Both have medium-sized, athletic frames. Pitbulls are quite muscular, with wide chests and broad, flat heads. Labs are taller, with a slimmer shape and a longer nose. Labrabulls range from 50 to 90 pounds. They have a short and silky coat and come in a variety of colors. Coat colors include brindle, brown, black and white and tan. You may also find a black Lab and Pitbull mix or a chocolate Lab Pitbull mix. Another popular variety is the yellow Lab Pitbull mix. A dog’s coat can change with age. For example, your glossy black Lab Pitbull mix puppy will likely get some gray around his muzzle and eyes as he gets older. Both Labradors and Pitbulls are clever and loyal dogs. Many Pitbull advocates praise their intelligence, willingness to learn and love for their families. Labrador Retrievers are known as excellent family pets. They are friendly and outgoing and play well with other dogs. A Pitbull and Lab mix therefore is likely to be a people-pleaser when it comes to his family. This super-smart mutt will do anything for praise and attention. They will need company for much of the day, due to their strong bonds. They are therefore not an ideal pet for anyone who works away from home, or cannot bring their dog along with them during the day. Intelligent dogs can become bored and destructive if left to their own devices too often. A genuine concern about Pitbulls is their bite reflex. Compared with bites from other dogs, the damage that they can do is much more severe. In a study of over 200 bites over a period of 15 years at one trauma center, 30 injuries were by Pitbulls. The level of injury caused by them was far greater. If you are bitten by a Pitbull you are more likely to have a worse injury, and more likely to die from it. It’s a chilling fact, but we can put another spin on it. The American Temperament Test Society runs a temperament test to evaluate breed behavior. According to its 2016 results, the American Pitbull passed the test with a 87.4 percent pass rate, making it more even-tempered than Cocker Spaniels and Beagles! Many anti-Pitbull advocates point to the Center for Disease Control’s claim that Pitbulls are within the top three biting breeds, behind Chihuahuas and Bulldogs. However, the CDC itself admits that these numbers are culled from media headlines that could potentially misidentify the breed. A more recent study by Dr. James Serpell at the University of Pennsylvania ran different breeds through a series of tests and found that the top three most aggressive were Dachshunds, Chihuahuas, and Jack Russell Terriers. Pitbulls might not be the most likely dog to bite you. But if they do, it is much more likely to lead to severe injury or death. This doesn’t necessarily mean you shouldn’t own a Pitbull. But you need to throw yourself into socialization and definitely meet the Pitbull parent to assess their temperament. Although genetics play a role in aggression, a dog’s upbringing can have an impact, too. Being a responsible owner means giving your dog the tools to curb his anxiety. This involves training, socialization, and lots of praise and support. Training your Lab Pit mix is a very rewarding experience for both dogs and owners. Given its extremely intelligent parentage, this hybrid responds very well to instructions and can master the basics in no time. Both Pitbull and Lab breeds work best with positive reinforcement. They love to please their owners and are extremely willing. Using punishment to train your puppy is not advised. This can destroy the trust between dog and owner. In addition, it can lead to problems in the future with aggression. Punishing a dog causes them to hide the warning signals that they are unhappy. This makes biting more likely in future, because they don’t know how to tell you they are uncomfortable in a situation. Use reward-based methods and train together every day to build an even stronger bond between you. For more details on training a Bullador puppy, check out our articles on crate training and potty training. Your Labrabull will definitely need regular exercise, as it will be on the larger side and quite active. An hour’s worth of exercise per day is recommended, as well as play time in a fenced-in yard. While Pitbulls have a bad reputation that is not entirely fair, there is some truth to it. 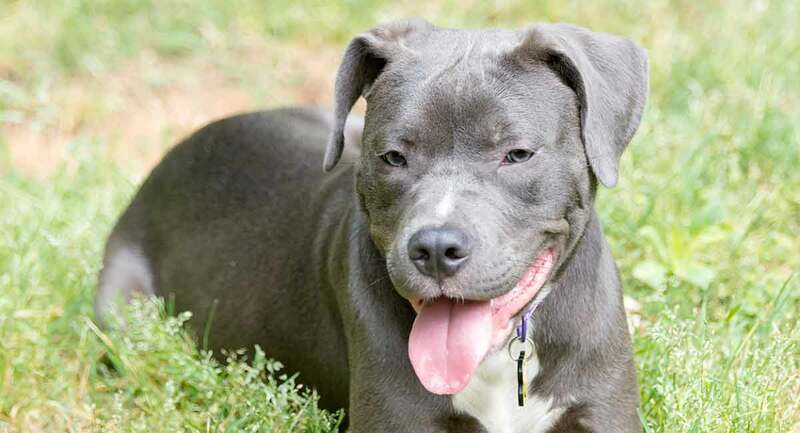 The risks of biting is higher than with some breeds, the severity of bites is far worse, and Pitties can be territorial and display some guarding characteristics. So, when you buy a puppy with a Pit parent, you need to commit to socialization as a number one priority. A confident dog is a safer, happier dog. And dogs become confident through early exposure to the situations which have potential to worry them as adults. It is very important to socialize a Pitbull Lab mix puppy as early and often as possible. From day one make sure you have visitors to the house at least four times a week. Make sure there is a range of adults and children, and that each new person gives the puppy praise and treats upon arrival. Take your pup to every type of location you think you might visit together, and make sure lots of people say hello to her. Again, if possible, they can give her treats to reward her and help build a positive association. Supervised interaction with other dogs will teach your dog how to play properly, and respect his furry friends. 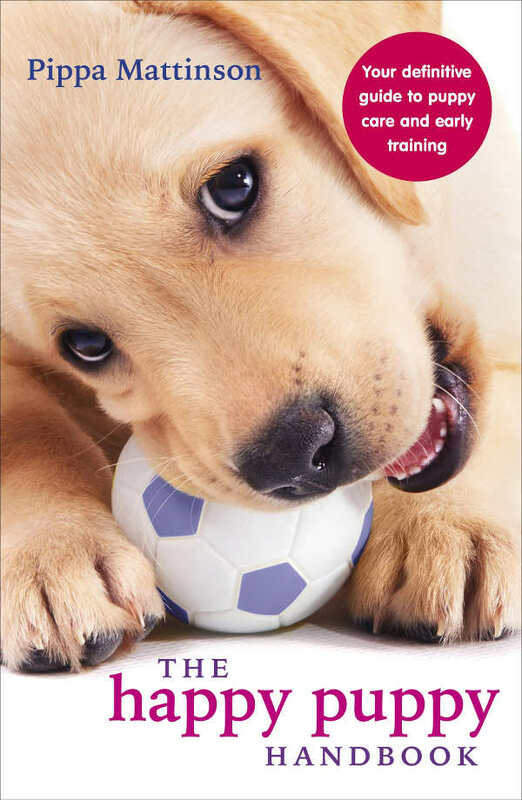 Organised play dates or behaviorial classes can help your puppy learn to be a calm and happy part of a pack. Both Labradors and Pitbulls are generally healthy dogs. But there are some serious genetic health conditions that your puppy could inherit. So health screening of both parents is essential. The breeder should provide you with evidence of good hip and elbow scores for both the Labrador and Pitbull parent. They should also show you an eye test for each of them, carried out less than a year ago. And a clear DNA test for PRA blindness. 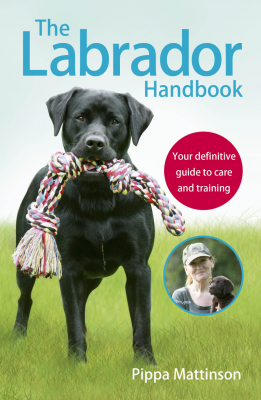 The Labrador parent should have no family history of exercise-induced collapse or cruciate ligament problems. The Pitbull parent should have no history of skin problems. Do not go to a breeder who is unwilling to provide evidence of the parent dogs’ health. Labradors live on average 12.5 years. Pitbull lifespan is around the same. This is, therefore, a fair guess for your puppy’s life expectancy. This is about the average lifespan for medium-sized to large breeds. Thanks to its parents short-haired genes, the Labrador Pitbull mix is fairly low-maintenance when it comes to grooming. His smooth, dense coat doesn’t require much attention so you can relax – just bathe when necessary and brush as needed. However, during shedding season you might find you are grooming a lot. Labradors are very high shedding dogs, and as such your puppy could be too. Make sure to get him used to being groomed regularly. This will make your job easier when he starts to molt! Easily trained and steadfastly loyal, Labrabulls make good pets for the right people. They will bond well and be loyal to their family. However, they are high-energy, so are best suited to homes where they can play and exercise on a daily basis. They will thrive in a home where there is someone around during the day who gives them regular exercise and training. A commitment to thorough socialization in puppyhood, checking health tests of parents, and meeting and assessing the temperament of the Pitbull parent is essential. Both Labs and Pitbulls are large, lively breeds, therefore they are best suited to homes with older families. Although Pitbull dogs are often great with the kids in their families, the nature of their bite and severity of the injuries they cause is something you need to seriously consider before you bring one into a home with children. Never leave a Pit mix alone and unsupervised with kids, and make sure that they treat him with respect. 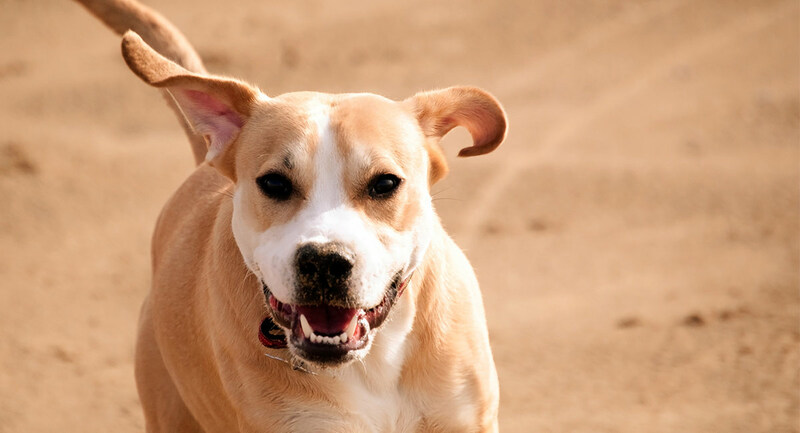 Well-bred, well-socialized Labrador and Pitbull mixes are a breed that give as much as they get. Putting lots of love, time and attention into your dog when it’s a puppy will reap rich rewards in the future. Adopting dogs is always a risk, as you won’t know their parentage or health history. But giving a rescue Pitbull Lab mix can be very rewarding, for both pup and owner. Check with your local shelters to see if they have any mixed breeds. Alternatively, go online and browse sites like Petfinder.com and adoptapet.com. These sites have a huge database of rescue and shelter dogs, allowing you to browse according to breed and location. Check out the list of rescues at the end of this article for further ideas. Mixed dogs like the Labrabull do not have breed standards as such. This means breeders do not have to follow a certain type. Therefore it’s a good idea to thoroughly investigate before buying your puppy. Ask about its parentage, inspect the kennels, and request the proper documentation. Make sure to avoid puppy mills and pet stores. A good breeder should be happy to answer all your questions! They must let you meet both parents. Meeting the Pitbull parent is essential. They should be at ease in your company, happy for you to come into their home, and have a wagging tail. The breeder should provide evidence of all the heath tests mentioned above, and have a clear bond with the mother of the puppies. She should know her name, have at least some basic training and be relaxed in demeanor. Being a hybrid, Labrador Pitbull mix puppies can vary. Some may inherit more Lab genes, others will favor Pitbulls. The only way to know what you are getting is to meet your puppy first, and talk to the breeder. Most breeders charge around $400 for a Labrabull puppy. There may be additional costs for health check-ups and official documentation. Mixed breeds are increasingly popular, so you may be able to find a Pitbull Lab mix puppy faster than you think! 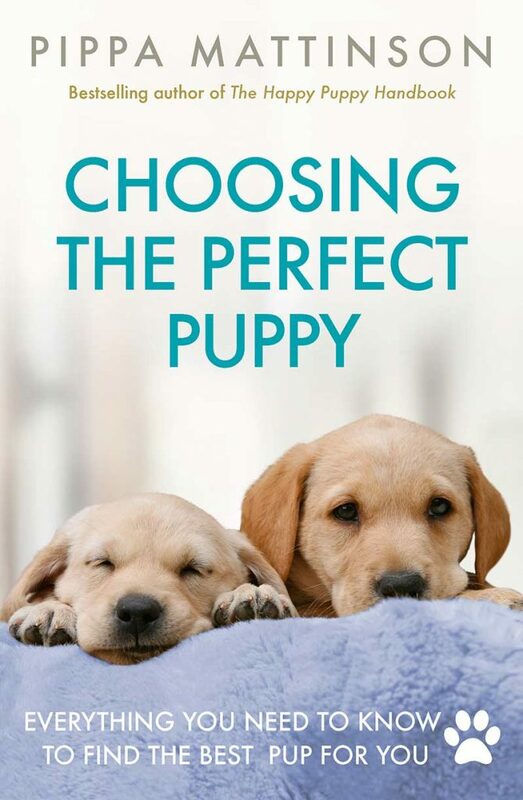 But if you’re having trouble, check out our puppy search guide. Caring for a vulnerable Pitbull Lab mix puppy is a big responsibility. You’ll find them listed on our Pitbull Lab mix puppy page. Interested in comparing the Pitador with some other crossbreeds, to see what they do and don’t have in common? Take a look at these mix-breed-specific articles. If you’re not entirely sold on the Pitbull Lab mix, take a look at these different-yet-similar mixes to get some other possibilities. The mix possibilities are endless! There aren’t a lot of rescue organizations out there specifically for a Pitbull Lab mix, but that doesn’t mean that your ideal pup can’t be found! Here is a list of some rescues for the parent breeds. They range all over the world, so you can look within your local area. 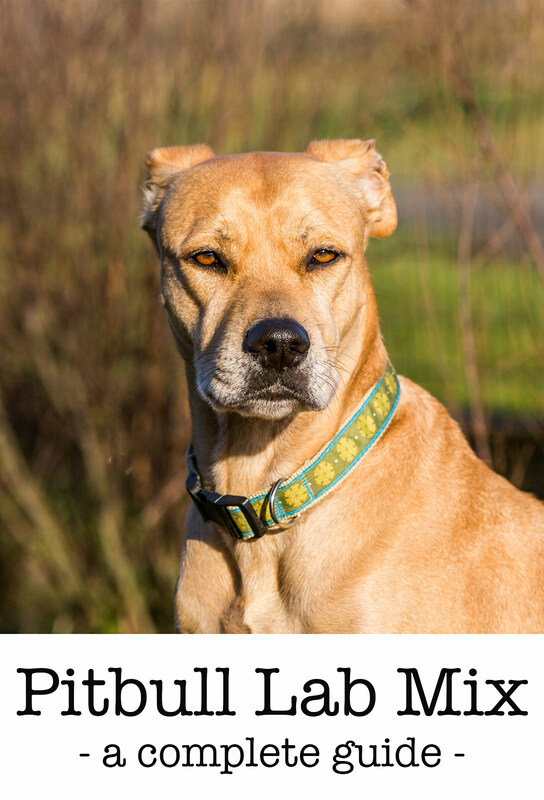 Do you know of other rescue organizations for Labrador Pitbull mixes? Please let us know in the comments! Serpell, J, Duffy, D, Hsu, Y, “Breed Differences in Canine Aggression,”, Applied Animal Behavior Science, 2008. O’Neill, D G et al. 2013 Longevity and mortality of owned dogs in England. The Veterinary Journal. Bini, JK et al 2011 Mortality, Mauling, and Maiming by Vicious Dogs. Annals of Surgery. This article has been extensively revised and updated for 2019. I adopted my Pitador, Baxter, from the SPCA on 6/18/18 at 9 months old. He had been abused and abandoned there along with his mother and 2 sisters. Baxter is especially scared of moving vehicles. He also still has a great deal of leash anxiety. i have 4 cats, but knew from the shelter that cats didn’t seem to bother him. Fast forward 9 months, they get along great and Baxter has never once toward the cats or humans been aggressive. He generally ignores anyone who walks in the door. He doesn’t even bark at the door bell. I take him to daycare ore camp as he knows it a couple days a week. 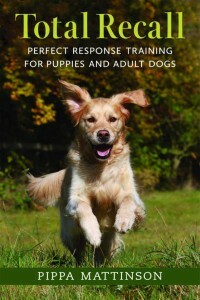 This has helped tremendously with his socialization and confidence. He’s usually the first dog to go great a new camper. He is so loving, eager to please and very attached to me. I live alone and in the last month has truly become my shadow. He’s getting past so many of his anxieties. Patience and love and he’s the best boy ever! Hi, we have a 14 mo. old Labrabull rescue we got when she was 10 months. Very affectionate, extremely smart, & energetic all the time. Do see anxiety issues. I bought a flick stick & get her to drop the end with rewards. Constantly must train her. When I’m exhausted due to health issues, I put her on treadmill. Start out slow. She still is nipping….haven’t figured that one out but we will. These breeds need lots of attention & exercise. Hi I have found a 6-7 month old Pitador. She’s been dumped on our property on 01/06/18 approximately 9am. I don’t know who she belongs to but when I picked her up in my arms she showed signs of being someone’s dog. I could also smell a woman’s perfume on her. She has scars on her face, foot and head. It looks like she was abused physically and definitely verbally as well. I’m keeping her with me and I given her, her first shots and dewormed her. She’s a sweetheart but she is a little aggressive. I’m training her right now so hopefully we can become good companions. I don’t know what her history is but I’m going to be working hard to get her to trust again and to be non aggressive. Her mission is to meet 100 people adults and kids. As for now it’s on hold because of the biting. I do like the Pitador name better than Labrabull. I have a 8 week old Pitador and she is amazing. So lucky to be raising her young with Love. My pit/lab, Goldilocks, has been the gentlest loving companion that anyone could ask for. She is nearing her 16th birthday and time is short. She has trained a golden retriever and chihauhau and has outlasted them all. Her days are short and she will be missed. So glad to have known her. I have a 4 1/2 year old Lab mix. Unfortunately I need to rehome but haven’t had any luck. He needs a great home with someone who has patience with him as he is anxious, nervous but very loving and a quick leaner. I don’t have time or money to train him. He is a great dog and deserves a happy home. I have a 5 week rescue. He is starting to get to know my Shih tzus but playing a bit rough. Will this make him aggressive and should I be concerned? I have a brother and sister who are almost a year, the female has always loved to play rough but we taught her when it was okay, and she’s very very smart about picking up our body language and calming down when it’s time. 6 my chocolate Labrabull is out of control. King knows his commands but seems to choose when to listen. He also still bites at hands and recently began jumping up on us I don’t like it. And training methods I’ve used with past dogs either don’t work or make it worse. Can someone please point me to a great training school. King and I are in Tulsa Oklahoma and would greatly appreciate your advice. —King is also my emotional support animal and has started showing signs of separation anxiety. I try to be with him all the time but can only handle so much jumping and biting before I have to put him away from me. Hi Raquel, please join the forum for help with your dog! I’m in over my head and don’t know what options are. My 4 mth old lab turns out is pit lab mix. She has shown signs of aggression I believe taught by me out of ignorance. When she is good she has an unbelievably sweet sweet temperament. You can sense her loyalty. She shows signs of submissiveness. I am scared because I can’t stay with her all day. Socializing regularly is not an option. I fear this will have negative consequences later as she matures. She obeys commands when she chooses. She is a rescue So I don’t know her parents. I think I need to rehome her. But it breaks my heart because she is so sweet. I can’t believe I’m saying this but I actually told her more than once that I love her. Because she is such a sweet dog. But the responsibility in danger factor is too great. Hi! Mine benefits greatly from exercise. It immensely affects her mood and makes her more calm / loving. Also treats became my bff. She loves them and it is the only way she would learn.. by positive reinforcement. When I separated myself from her when she was being bad it made things a LOT worse. Our pitador is a rescue – about a year old and only 38 pounds when we got her, with ear mites, and other issues. A year later she is a beautiful 55 pounds with glossy coat, and well behaved. Part of the “secret” is she learned from our other older dog (a hound mix), which makes basic training so much easier. She also loves the beach, and once she watched our other dog Trudy swim to get a ball, decided to enjoy it too. She is not the most proficient swimmer (tends to splash a lot) so we don’t throw the ball more than 5 yards out, but she loves it. I have had several dogs of different breeds, and she is the friendliest of them all. I rescued a lab/pittie mix and she is amazing. She’s about 1-2 years old they think, and the most beautiful loving goof ball. She does get destructive if left alone so unfortunately she has to go in a crate, but she’s gotten used to it now and is ok. The big thing is doggy daycare. She goes three times a week for the day and plays and plays all day and she is exhausted at night. Can be pricey, but cheaper than child daycare and worth every single penny. I would highly recommend it for a socialized happy dog. We have a black lab pit mix. He is so wonderful! Very high energy and very affectionate. He thinks he’s a lap dog. He has high prey drive and will chase squirrels all day. He is very smart and training has been very smooth. He does tend to be quite possessive of his people so we have to be cautious when children are over. He does bark when people come to the door, but not excessively. If we are away from the house for more than a few hours without him, he can be mischievous so we try to take him with us as often as possible. He loves the beach, but fears the water. He does enjoy his baths though. He is very obedient but we have to be consistent. If we bend the rules once, the training is out the window. Just about the best dog ever! We bought our dog on Craigslist, no papers. Not so smart I know. We were told she was a lab / border collie mix. We have moved 2x since( military). We had here trained at Mans best Friend and the trainer said she looked like a plot hound because of her curly tail?? Anyway… we have moved again and she has snapped at a couple people and is a little aggressive with her toys and food. I’ve noticed the pictures of lab/ Pitt and she looks an awful like that?? I’m worried about aggressiveness at her age . She’s 4. What should I do? I love her but am worried. All puppies are crazy and love to play. Mix black/white pittlab or whatever…? is the best friend anyone could have omg soooooo SMART unbelievable how smart with no training just lots of love and attention we talk to her as if she were a person not an animal. What I’m trying to say loving caring people parents = loving caring smart doggie. They have so much energy you need to do puppy lessons and lots of walks/runs to tire them out. Then they behave.